You can get a free trial by meeting the conditions laid out in the following procedure. The free trial can be acquired only by those who have met the conditions for the Free Plan or Trial (Standard). If you do not meet the conditions listed in the Acquisition Conditions, you will not be eligible for the free trial. If you have been registered for the same item in the past, you will not be eligible for the free trial. If you register duplicate, incomplete, or incorrect details, you will not be eligible for the free trial. If you do not use the same browser until you use the service, you will not be eligible for the free trial. 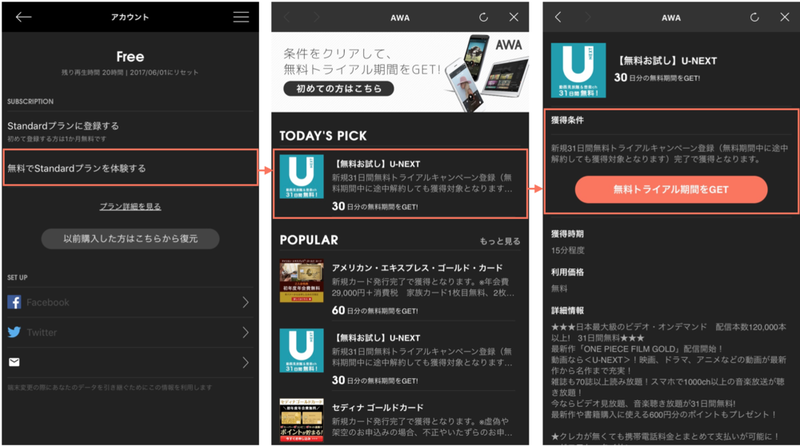 Use of the free trial can be acquired only through the smartphone version of the app. 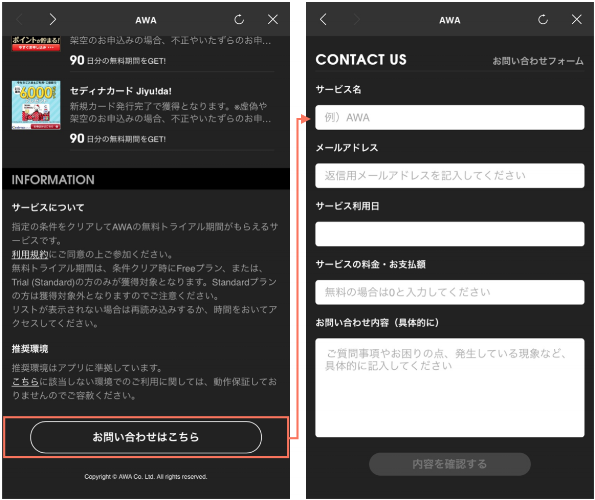 Once acquired, the free trial can also be used with the desktop version of the app by logging in with the corresponding account. Please note that, depending on the item, it may be subject to early termination or changes to the conditions. After tapping 'Try Standard Plan for Free', please inquire using the 'Contact us here' link at the bottom of each page. The point of contact differs from that for usual inquiries about the AWA usage method. For inquiries regarding 'Meet Conditions to Get Your Free Trial', please be sure to do so via the following contact.